BLOOMINGTON, Ind. 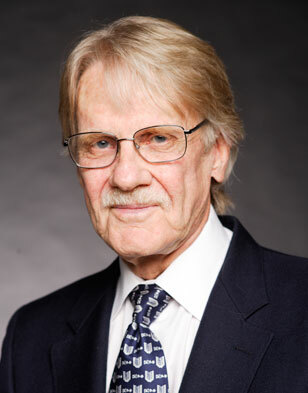 -- Vernon Smith, who was awarded the Nobel Prize in economic sciences for research that laid the foundation for the field of experimental economics, will speak this week at Indiana University as part of the campus's fall 2010 Themester: "sustain•ability: Thriving on a Small Planet." Smith, a professor at Chapman University in Orange, Calif., will speak on "Sustaining Wealth Creation: Economic Recessions and Housing." The lecture will take place at 7 p.m. Thursday (Oct. 28) in the Grand Hall of the Neal-Marshall Black Culture Center, 275 N. Jordan Ave. It is free and open to the public. An abstract for the lecture says Smith will examine the influence of asset market bubbles on the economy, focusing on housing. He will consider why economists, experts and policy makers were blindsided by the impact of the housing collapse of 2007-08; and he will explore whether, if housing bubbles cannot be prevented, their collateral damage to the economy can be avoided. "The topic of the lecture covers a very important and timely issue that promises to be of interest not only to economists but to anyone who is concerned with the current economic situation," said Gerhard Glomm, professor and chair of the Department of Economics at IU Bloomington. "Professor Smith has had an ongoing, productive relationship with the Workshop in Political Theory and Policy Analysis here at IU and with the experimental economics group, consisting of Professors Jimmy Walker and Arlington Williams. This collaboration, in my mind, is among the best examples of successful multidisciplinary work celebrated by the Themester initiative." Smith and Daniel Kahneman shared the 2002 Sveriges Riksbank Prize in Economics Sciences in Memory of Alfred Nobel -- also known as the Nobel Prize in economic sciences -- for their work in experimental and psychological economics. The prize recognized Smith's development of an array of experimental methods, setting standards for what constitutes a reliable laboratory experiment in economics, according to the Nobel economics committee. He demonstrated the importance of alternative market institutions and spearheaded "wind-tunnel tests" in which alternative market designs are tested in the lab before being implemented in practice. The IU address is sponsored by the Department of Economics and the College of Arts and Sciences. Support comes from the Duke Energy Foundation. The IU Bloomington 2010 Themester: "sustain•ability: Thriving on a Small Planet" includes courses, lectures, exhibits, performances and other activities and events. It is an initiative of the College of Arts and Sciences. For more information, see http://themester.indiana.edu.